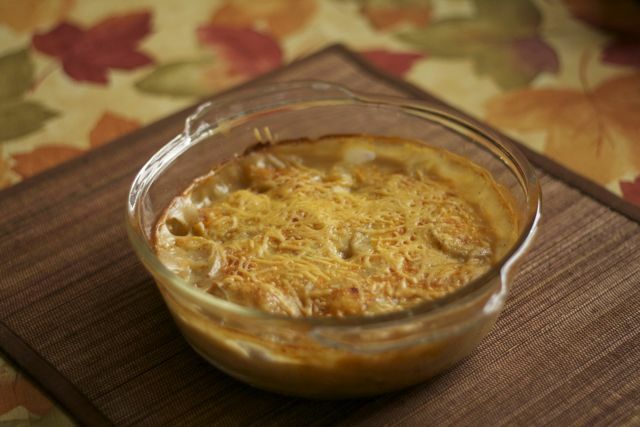 I recently found, what in my opinion, is a great scalloped potato recipe on AllRecipes.com. Some of you expressed interest in it, so I thought I would post it with my modifications. Thank you Peter for the awesome picture! 4) Grease casserole dish, layer potatoes and sauce, repeat until dish is full. 5) Sprinkle top with cheese, paprika, parsley, or whatever you desire. 6) Baked covered at 350 degrees for 1 hr or until potatoes are tender. I uncover for last 15 minutes or so to brown the cheese on top. Serves 6.